EXECUTIVE SUMMARY: If and when the Palestinian Authority (PA) collapses, Jordan will bear the greatest brunt of the resulting humanitarian crisis. Such a collapse could be triggered by several factors, but will almost certainly lead to a mass exodus of Palestinians from Areas A and B. While Israel will probably opt for a minimalist containment approach, the government in Amman will have to choose: it can either come to the aid of the Palestinians in the territories, or it can allow them to enter Jordan for help. 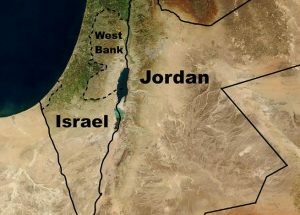 Israel and Jordan are both likely to favor the first option, which may then facilitate a solution to the problem of governance in the territories. The Palestinian Authority (PA) is on life support, due largely to decades of political intransigence and systemic corruption. Israel (which, it must be remembered, founded the PA) is the doctor in the room, wondering if and when it should pull the plug. The US administration is gradually choking off aid in an effort to incentivize Mahmoud Abbas to return to the negotiating table, which he left a decade ago. In a display of obliviousness to his own predicament, Abbas has countered by purportedly demanding the replacement of America’s chief envoy in the Middle East, Jason Greenblatt, before talks can begin. But there is a sense that the whole world, including the Palestinians in Areas A and B, are now awaiting the PA’s demise. Many believe the moment will come soon after Abbas’s death. However, with the possible exception of Israeli internal intelligence assessments, no one seems to have worked out likely scenarios of what would follow the collapse. While all polities suffer from some degree of disunity, the extreme levels of partisan antipathy and hostility within the PA are shocking. Not only do we have the seemingly unbridgeable chasm between Fatah and Hamas, but rivalries within the Fatah leadership, and their armed manifestations on the ground (Dahlan, Barghouti, Rajoub, etc.) in the towns and villages of the West Bank, are clear to anyone who follows the scene there. If you’re thinking “mafia,” you’re right on target. There are entire neighborhoods in Nablus, for example, that take their orders directly from Gaza, even though the town is nominally under Ramallah’s control. Outside these areas, certain streets are PFLP domains, while others are in the hands of men who have pledged allegiance to ISIS. The level of hostility among these factions is illustrated by the fact that all of them are more inclined to deal with the Israelis than with each other. Outside the cities, entire Arab villages openly support Hamas, while others back Fatah and still others the PFLP. This support is on display in graffiti in the village squares. If you don’t have access to the villages or to Israel’s intelligence gathering abilities, the best way to guess who dominates which town is by chalking up how many terror acts claimed by Hamas (or other groups) are committed by individuals from a certain locale. If, for example, there are two or more stabbings from the same village that are claimed by one terror group, you can safely deduce that the village belongs to that group. Passage to Israel will become more difficult for residents and will at times stop completely. Movement within the Arab areas will slow down as the safety of those belonging to rival groups comes into doubt. All it would take would be one PA policeman getting beaten up by armed Hamas followers for traffic between the respective areas to stop. As a result, supplies of goods like food and medicine, as well as the delivery of basic municipal services, will become highly unreliable and may cease completely. Thus, within a very short time and before any blood is spilled, the living conditions for many West Bank communities will deteriorate sharply. As is natural, those who can afford to leave will do so immediately, mostly to Jordan. The well-off will have houses and apartments waiting for them in Amman, while the less wealthy will have relatives to host them. Tens of thousands who can absorb the cost of interrupting their lives in the West Bank will head east in the hope of sitting out the crisis in the safety of the Hashemite Kingdom. All this dislocation will happen before a single shot is fired. Thus, the best-case post-Abbas scenario for the Palestinians of the West Bank will be an uneasy, crippling, and temporary stalemate that will drive the propertied classes to run eastward for the river. The mounting restrictions and tensions will render this initial stalemate unsustainable. As critical supplies dwindle and living conditions worsen, the most desperate armed groups will begin taking risks by attacking those boxing them in. However, the violence that will inevitably erupt will not lead to a clear victory for any faction, as it did for Hamas in Gaza in 2006. Any victories will be local and limited. This is because Areas A and B possess neither the territorial contiguity nor the binary politics of Gaza. Instead, one town will go to Hamas, and the next will remain with Fatah. In one neighborhood, the PFLP will stay dominant; in another, the ISIS loyalists will keep watch. Under such circumstances, those residents who haven’t already left out of prudence will flee in desperation. Jordan will be faced with an influx that may quickly rise from the tens of thousands into the hundreds of thousands. In addition to the strain such an influx would place on Jordan’s municipal services and on fuel and food prices in the kingdom, these refugees will be qualitatively different from the Iraqi, Syrian, and other refugees the kingdom has hosted in the past. They will be Jordanians. As I discussed in an earlier Perspective, the lives of the Palestinians on both sides of the Jordan are inextricably linked, both personally and institutionally. A majority of West Bank residents are Jordanian citizens. Many carry valid Jordanian passports, and receive salaries and retirement benefits from Amman. Most have first- and second-degree relatives across the river. A sizable minority owns real estate on both banks. In short, the lives of the Palestinian inhabitants on either side of the Jordan are as intertwined as the lives of Egyptians on both sides of the Nile, or of Americans on both sides of the Mississippi. Communities around the world are brought together by rivers, not separated by them. Those escaping post-collapse violence in the PA will technically be Jordanian citizens escaping what were Jordanian towns and villages until June 1967. In fact, until King Hussein, under crushing political pressure from Arab governments, announced his “disengagement” from the West Bank in the late summer of 1988, virtually everyone in the world considered those towns and villages to be de facto occupied Jordanian territories. Because of this, the consequences of chaos in those territories will fall largely on Jordan, even though the areas themselves are under the joint control of Israel and the PA.
One can expect that Israel will immediately come under pressure to fill in both the security and administrative gaps left by the PA. That pressure will be balanced by Israel’s justifiable fear that intervention of any kind will expose it to the charge of being complicit in the flight of Palestinian residents. Therefore, Israel’s response is likely to be measured, incomplete, and insufficient to stop the situation from deteriorating further. The IDF will do its utmost to protect the Jewish communities peppering the whole of Area C, but is likely to stop short of entering the cities to end firefights between Palestinian factions. Entry by the IDF into Areas A and B to stem the bloodshed or deliver aid will be seen as “invasion” and may meet armed resistance. In short, there will be little incentive for Israel to risk anything for the thankless task of assisting the Palestinians remaining in the area. If Israel does end up sending forces into Palestinian towns and villages to stop rocket or mortar fire on its own towns and villages (as has been the case with Gaza), the IDF’s military operations will likely be limited. Those operations will also add to the war-like conditions in those areas, not alleviate them. With any variation of the scenario described above, Jordan will face a choice between passively (and indefinitely) hosting the hundreds of thousands of refugees escaping PA violence, or actively intervening to stop the deterioration of the security situation inside the territories and impede the exodus. To be sure, a Jordanian intervention will have opponents. There are powerful political forces within Jordan that will oppose getting mixed up in West Bank trouble, let alone reestablishing a political union with the West Bank Palestinians. The loyalist native tribes of the East Bank reasonably fear that their privileged position in society and government will be compromised to facilitate the full integration of West Bank Jordanians into a united polity. The PA itself would certainly resist being dissolved or sidelined by Amman’s assumption of responsibility for West Bank Palestinians. The largely political edifice of Palestinian identity will not be abandoned peacefully simply because it has serially failed to function and/or improve the lives of its claimants. However, these oppositions will likely be swept away by the pressures of the moment and the reality of an acute humanitarian crisis resulting in an influx of refugees. The Jordanian government will simply be compelled to intervene in some fashion in order to stop the deteriorating humanitarian situation in Areas A and B. Its top priority will be stopping the new wave of refugees. Politically, this will jibe perfectly with the nationalist call to stop the “emptying” of the West Bank of Palestinians. Such reasoning will find immediate acceptance even among the Islamist opposition and mainstream politicians. In fact, the Jordanian government may even receive invitations to intervene in the form of explicit calls from local dignitaries. No Arab in the West Bank will dare invite “the Jews” back to reestablish order, because that would be universally viewed as treason. However, calls on Jordan, and on the King in particular, to provide help have been made before and were positively answered. Finally, there is a historical echo in the notion that King Abdullah II will repeat the act of his great grandfather King Abdullah I as the savior (munqidh) of the West Bank Palestinians. In fact, many Palestinians in Jordan who have witnessed the ineptitude and corruption of the PA from afar have revived the “United Kingdom” idea that preceded King Hussein’s disengagement announcement in 1988. The position of the Israeli government towards an intervention by Amman is easy to predict. Israel will welcome all help from the firm and responsible hand of the Jordanians to run the affairs of Areas A and B. After all, for Israel, the one positive outcome from the Oslo disaster was the formal separation of the densely inhabited Palestinian areas from the rest of the West Bank (or Area C), where all of the Jewish communities reside. With Jordan’s intervention, Areas A and B will begin their transformation into de facto Jordanian territory. To be sure, this would not be the final shape of an accommodation between Israel and Jordan, but it would be a first step towards ending the persistent violence afflicting the territories and the resulting chronic misery of their Palestinian residents. In the situation described above, some of the involved parties are likely to benefit from a Jordanian intervention. The Palestinian residents will welcome it because it will restore order and livable conditions. Israel will welcome it because it will stabilize the general situation in PA areas and impose a more stringent security environment against acts of armed violence. For Amman, in the short term at least, these developments will mean trouble and heightened risks. However, there are substantial medium- and long-term benefits for Jordan. Jordan’s temporary administrative custody of Areas A and B would bring order and livable conditions back to the population, and would stem (and likely reverse) the exodus of Palestinian residents. Regional players, including the US, will provide substantial financial, diplomatic, and military support for Jordan in its efforts to handle the crisis. A long-term reduction in the tension between Jordan and Israel will be achieved. This tension is a periodic scourge resulting from the confrontational approach of the PA towards Israel. Israeli-Jordanian cooperation is crucial for the kingdom’s survival. For decades, the PA has played a corrosive role between the two governments. Its removal will place this vital relationship on a much surer footing. Last but not least, Jordan cannot afford to yield the political affiliation or loyalty of a substantial part of its citizenry to a government in Ramallah. If, as some contend, a majority of Jordan’s citizens self-identify as Palestinians, a Palestinian polity in the form of a fully-fledged sovereign state (or even an autonomous region) will concretize a fatal division in the kingdom’s makeup. There are signs that we are rapidly heading towards such a scenario. Israel could forestall it, but has no long-term interest in sustaining this outsized source of insecurity and diplomatic headaches forever. Still, Jerusalem does have a clear interest in not appearing to cause the collapse of the PA. The PA’s suicide could easily be portrayed by Israel’s detractors as a politicide, so the Israeli government will do its best to be standing a safe distance away when the end comes. Other factors besides Abbas’s death could trigger this cascade of events towards chaos. For example, a wholesale shutdown of UNRWA schools and services would almost certainly lead to an explosion of protests by the poorest PA residents. Also, a critical shortage of funds to pay the salaries of the PA’s civil employees would quickly lead to a state of emergency, as this is one of Abbas’s core loyal constituencies and the one that holds the threadbare PA together. More critically, failure to pay the members of Abbas’s six different security services could make the PA areas ungovernable even under Abbas. These men will seek to support their families by working for whomever pays their wages. Lacking regular employment, they are likely to resort to freelance collection of protection money from the hapless residents of whatever territory is under their control. In short, once the breakdown of law and order is in full swing, it will be very difficult to restore things to normal, and nearly impossible to prevent West Bank Palestinians from rushing en masse to points of safety. The proximity of Jordan, and the demographic intimacy of the Palestinian communities on both banks of the river, will make it the default destination for most of those escaping the violence. The government in Amman will have only two choices: it can provide for those people after they have crossed the river eastward, or it can, with Israel’s blessing, cross the river westward to provide for them in situ. It is difficult to imagine that it will chose the former, more difficult, option. Abe Haak is a Jordan-born, ATA-certified translator and educator. He worked as a research assistant in the Faculty Research Service at the Harvard Law School, and as an Assistant Professor at Senzoku University in Japan. Abe teaches in the German and Arabic Translation programs at New York University.